The call would come out from the kitchen how many knaydelach does everyone want. The calls of 1, 2 or the youngest kids proudly boasting 3 please, how did the kitchen keep it straight? Soon steaming bowls of soup with these light and fluffy balls of wonderfulness would start to appear around the table. 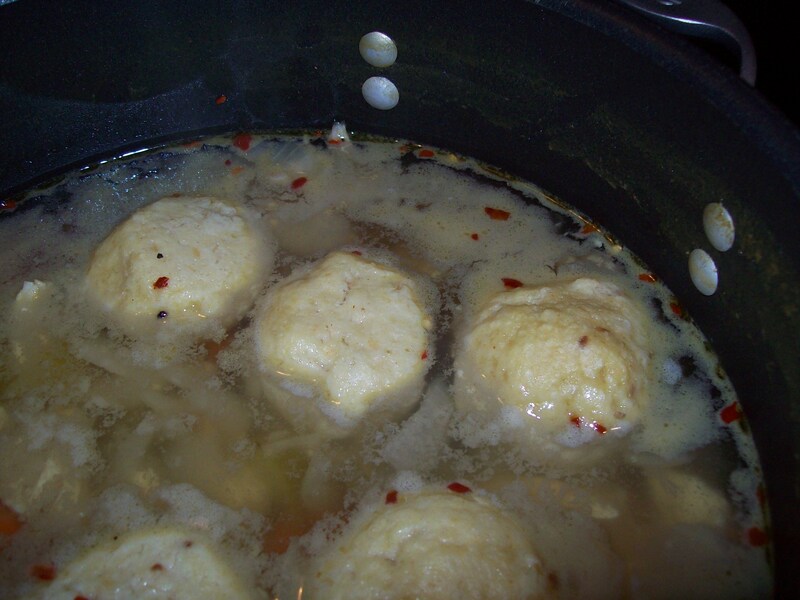 Matzah balls are more traditionally known as knaydelach (Yiddish for dumplings). 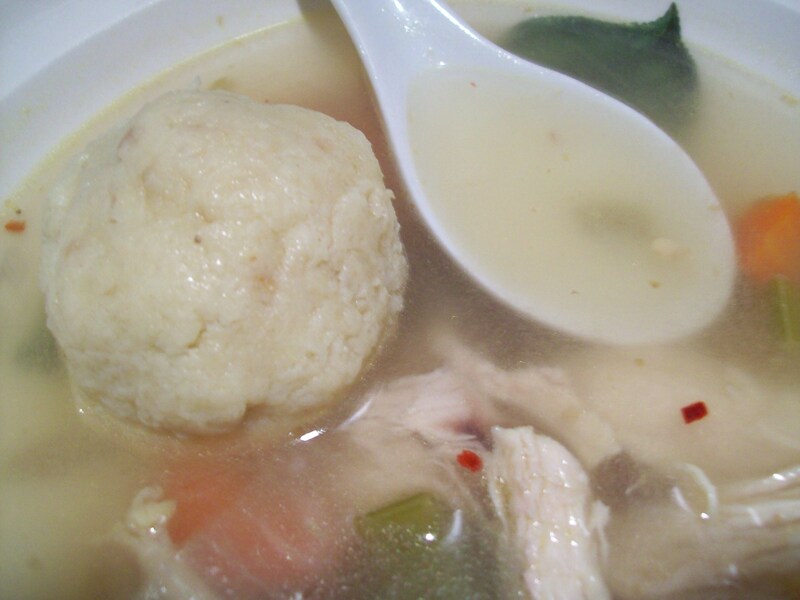 Matzah ball soup is generally a very thin chicken broth with two or three 2 inch ball sized matzah balls (or sometimes one very large matzah ball) in it. Sometimes, a few large pieces of carrot or celery are added. Matzah balls can be very soft and light or firm and heavy (not my preference). 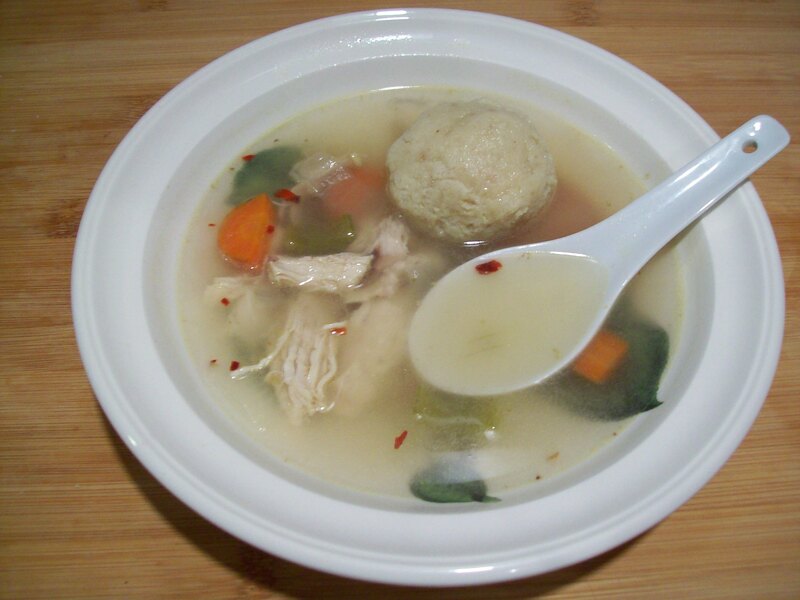 Matzah ball soup is commonly served at the Passover Seder, but is also eaten all year round. Optional pinch of red hot pepper flakes. Note: you can form the ball, cover and refrigerate up to a day before. In a small nonstick skillet, heat 1 teaspoon oil over medium heat. Add minced onion, and cook until tender, about 5 minutes; let cool. In a medium bowl, combine remaining 2 tablespoons oil, eggs, 1 1/2 teaspoons salt, and matzo meal. Add seltzer and cooled onion; stir to combine. Cover and refrigerate at least 45 minutes. Meanwhile, in a large saucepan, combine chicken, celery, carrot, and diced onion. Add broth and 4 cups water. 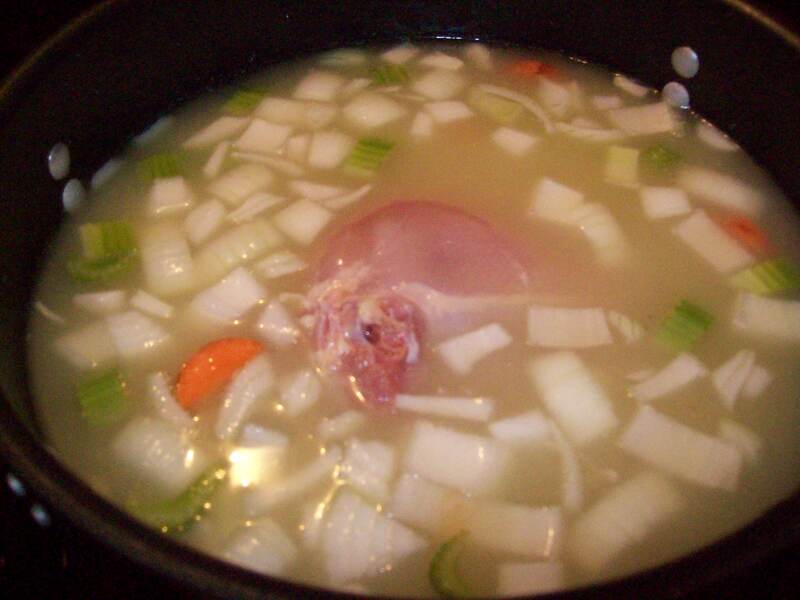 Bring to a boil; reduce to a simmer, and cook 30 minutes. With oiled hands, shape matzo mixture into 8 balls, about 1 1/2 inches in diameter. Cover with plastic wrap, and refrigerate at least 15 minutes. 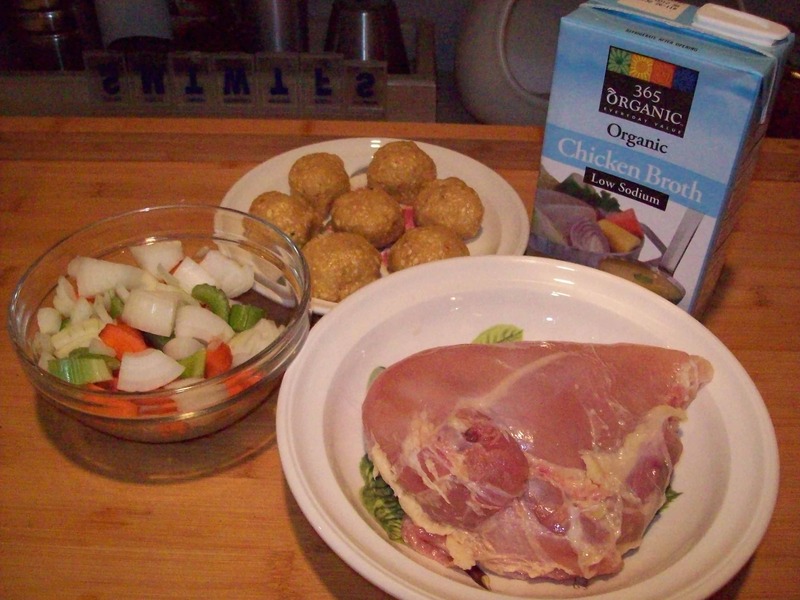 Remove chicken from broth; shred meat, and discard bones. Return broth to a boil; reduce to a simmer. Add matzo balls; cover, and cook until expanded, 30 to 35 minutes. Stir in shredded chicken. Season with salt and pepper. Serve immediately. Hint my knaydelach soaked up the salt this time so the soup got season with every bite. This entry was posted in Soups and tagged Broth, Matzah ball, Matzo, Passover Seder, soup. Bookmark the permalink.